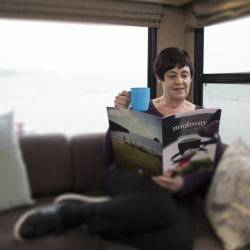 Our Motorhome Rental Inspection Form has gone paperless! Please download our RV Rental Inspection app to manage Pick Up and Drop Off, available for both Android and Apple. Please ensure you have a printed copy of this form, and place it and a pen in the glovebox of your vehicle. 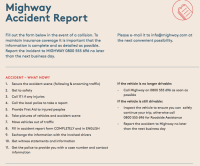 Let your Guests know it's there, and explain to them that if they have an accident they will need to use this form to take notes, as well as taking pictures of the accident and damage. 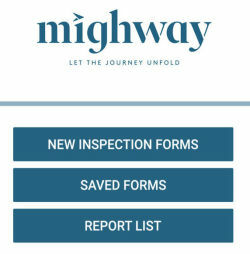 When they drop off the vehicle, please update this in the Mighway RV Inspection App (above). Creating a great holiday experience for your guests is vitally important. 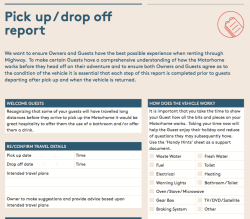 In this guide, we share our tips and advice on how to manage and keep your vehicle at its very best, maximize your revenue opportunities and other useful hints.